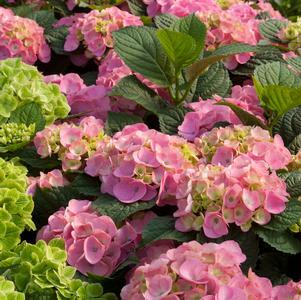 Awestruck by Bloomstruck | Faddegon's Nursery, Inc.
Ahhhh….hydrangeas, they are among my many weaknesses. Bob and I have planted Limelight, Vanilla Strawberry, Peegee, Annabelle, Endless Summer, CityLine, and Invincibelle Spirit in our garden. I love them all. Now another temptation. 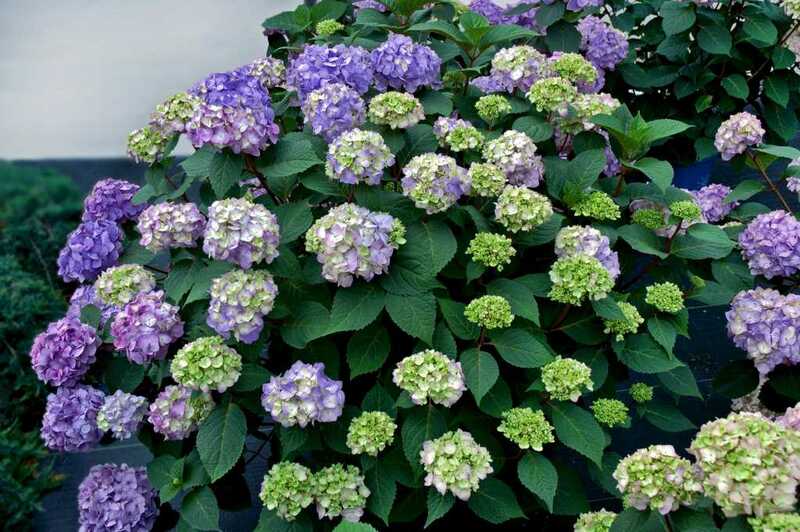 Hydrangea Bloomstruck arrived last year at the garden center for the first time. It is our solemn obligation, of course, to trial the new plant introductions. Poor us! How can we sell it if we don’t know how well it performs? Again …. Poor us! 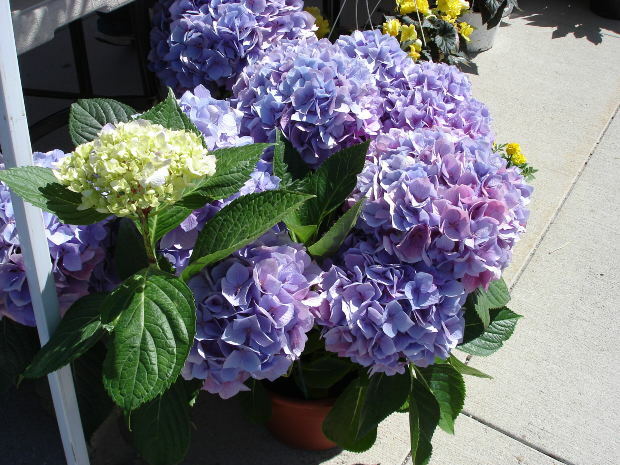 Really – obligation wasn’t part of the decision to plant this one – how could we pass it by! It was very purple in the pot. 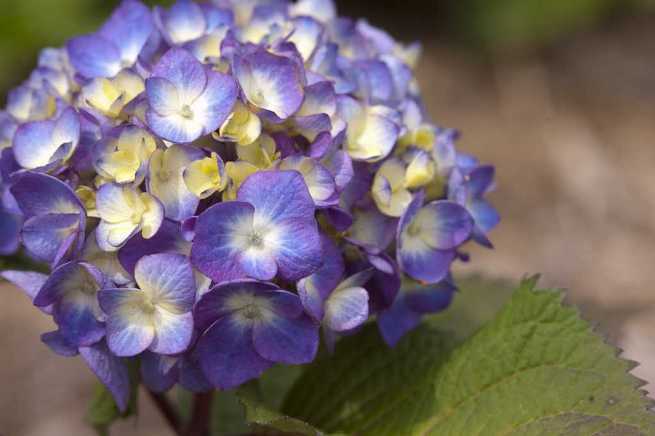 Kind of bluish purple actually – perhaps ‘blurple’ is a proper description. We planted ours in full sun. I can’t tell you how many perfectly rounded blossoms it had right on into the fall. 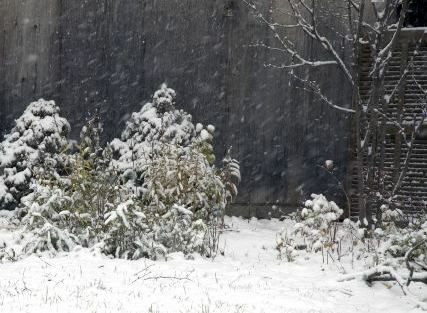 Then we watched the snow come to our garden in the Berkshires. There had to be 3’ of snow this year. And, it was so cold! This is one tough plant. Bloomstruck hunkered down in all that snow and still is happy this year. Niiiiice.